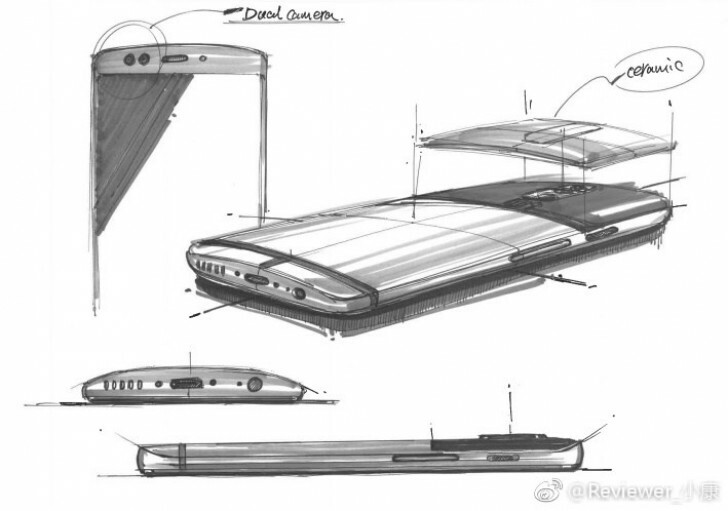 In an all-too-familiar scenario, some hand-drawn sketches of the OnePlus 5 reveal more about that phone that we didn’t already know! 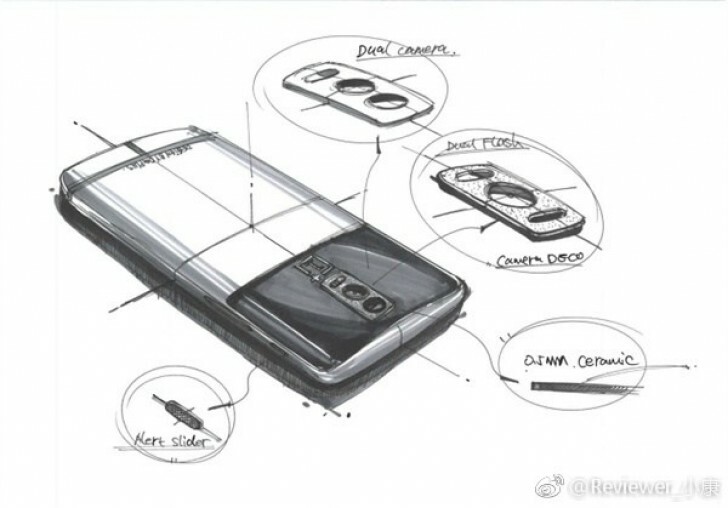 If you guys remember, the OnePlus One was also leaked in the same manner: a drawn sketch leaked showing the internet what the purported smartphone was going to look like. Anyway, let’s take a look at these sketches, shall we? There are two drawings, so let’s start with the one that shows off the main camera setup. The most obvious difference will be the dual-camera, which is rumored to consist of dual 12MP sensors and a dual-LED flash. There will also be a “window” surrounding the camera area, much like the Google Pixel has, except the window will be made of ceramic and not glass. The window serves two purposes: it allows signals to pass through while also offering a durable alternative to glass. We've seen ceramic in a OnePlus device before: the OnePlus X. Finally, we are seeing the continued return of the physical notification slider. This allows you to silence your phone on the fly. The next sketch shows us additional views of the device, including the side profile view, bottom view, and the front view. Seeing the phone from the side shows us that the ceramic piece would wrap around the whole backside and touch the frame. This sketch also shows us a dual camera setup on the front! If this does turn out to be a legitimate feature, the OnePlus 5’s selfie game could be on a whole other level. The OnePlus 5 will also keep its curved back, which we’ve enjoyed ever since the OnePlus One. Moving to the bottom of the phone is a USB-C port, in-call mic hole, and loud speaker. There’s also a 3.5mm headphone jack there, so no need to worry about using any pesky adapters. Finally, we see a bit of a camera hump on the sketch, we hope that this is preliminary and the final product doesn’t have such a pronounced protrusion. All in all, these sketches revealed a lot about the OnePlus 5, much more than we would have hoped this far before the phone’s launch. The only thing we weren’t able to see in these sketches is the right side of the phone, so we’ll assume there’s nothing more than a power button there. I agree with you jackyrobot. Since I earbuds with my phone, I find find the front facing speakers take away from the look of the phone. Front facing speakers are overrated and I'd much rather they cut the bezels instead of adding front speakers.